Emer O’Donnell is an artist, born in Dublin Ireland. She is currently completing a BA in Fine Art (Hons) Ceramics and Glass in the National College of Art and Design, Dublin, Ireland. 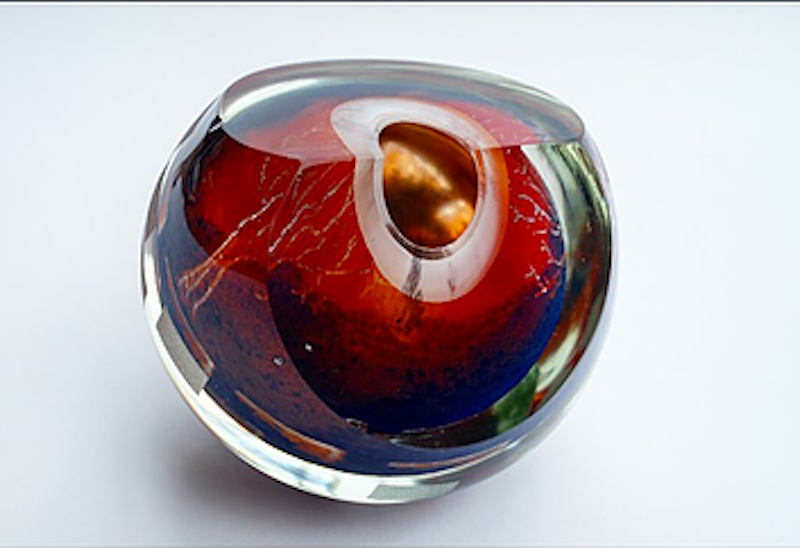 Emer uses the technique of graal to explore the properties of glass attempting to draw the eye beyond the surface. Producing work that uses reflections and surface treatments to create internal spaces. Using patterns found in nature and changing the scale to focus solely on the movement created. The engraved decoration reflects and refracts onto the inner surface, creating the illusion of one body floating inside another. 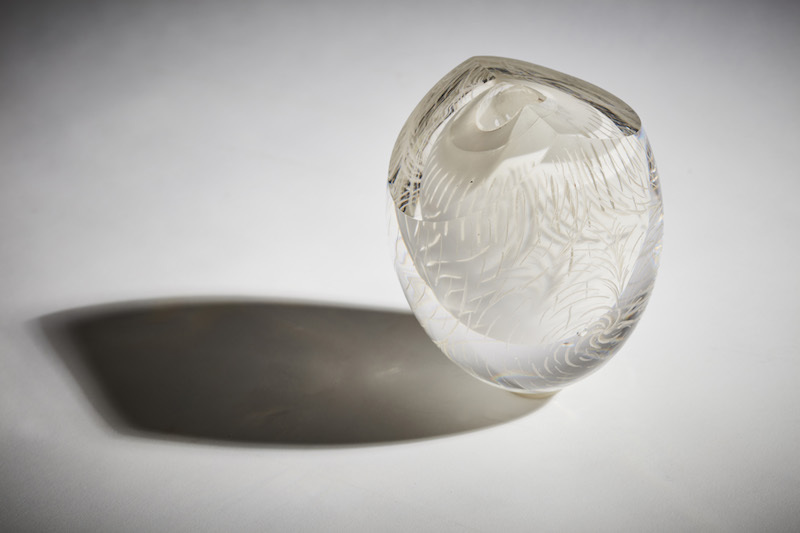 Emer has studied internationally having been awarded a full scholarship to Corning Museum of Glass to study engraving. She has worked with Glass artist Katharine Lamb restoring stained glass windows in Adare Manor. Emer has exhibited in Zozimus Gallery, 56 Francis Street Dublin in 2016 and 2017 in GAS online student exhibition. Selected for Sculpture in Context, Botanic Gardens 2017. Shortlisted for Future Makers 2017.